No matter how busy we are throughout the year, somehow the holidays always seem to sneak up on us. The season is best spent with family and friends, inside warm homes with hot meals. But for those hosting these cozy nights and festive parties often comes a great deal of stress, especially with last-minute cleaning and preparations. With the holiday season just around the corner, get a jump start on your party prep by completing this handy home maintenance holiday checklist. Completing these hefty tasks before the holidays are in full swing helps ensure more relaxing and enjoyable time spent with loved ones. The kitchen is the center point of many holiday gatherings. For those planning to cook up a feast and welcome happy helpers to mill around the kitchen, a pre-holiday deep clean of this space is one of the most important home maintenance tasks. Put special attention on cleaning the refrigerator and freezer in order to clear space for incoming ingredients. And be sure to clean the oven to rid any grease buildup that could contribute to an unintentional charcoal-roasted turkey. A pristine kitchen will sure impress guests, who will wonder when you had the time before their arrival. A sure-fire way your home can appear to guests as fresh and clean is having your carpets and hardwood floors professionally serviced. Nothing looks better than spotless floors and carpeting that has regained its bounce and crisp color. Furthermore, ridding your flooring of bacteria, dust and pet hair is a thoughtful effort—especially when considering guests with dog or cat allergies. 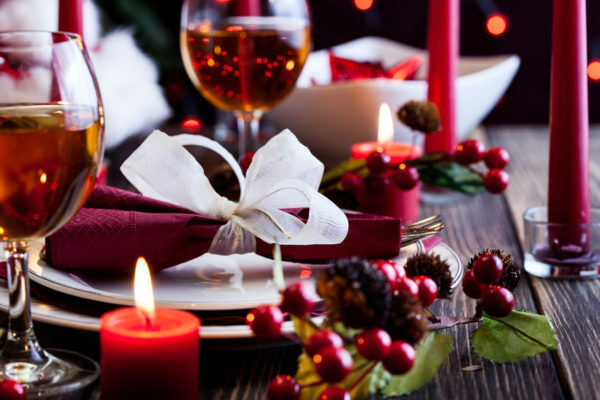 Hire a reputable carpet cleaning company to help create an allergen-free and refreshing atmosphere for your holiday parties. Take the professional floor cleaning a step further by also enlisting the company’s upholstery cleaning services. Crisp, clean and allergen-free furniture is more enticing to relax upon and helps set the stage for an enjoyable holiday season. What better time to clean the upholstery than before your holiday parties and the arrival of winter, when families find warm refuge on beloved cozy couches? Don’t wait until the last minute to polish your fine china! Get a step ahead of the holiday preparation and complete this task before the rush of the last-minute details. You’ll be glad you completed this simple yet tedious task beforehand. Unless your hosting background extends years of consistent and favorited recipes, recipe research should never be a last-ditch effort. In fact, your recipes should be collected and determined well ahead of your holiday soirée so that you’re able to compile your grocery list for a no-hassle shopping trip. Searching for idea of what to make, check out Pinterest. If it looks like it’s going to be a cold one, your wood-burning fireplace may find itself in high demand for the season’s gatherings. The fireplace is a wonderful gathering place for gift-giving and holiday singing. And no host wants to run out of firewood just as the party is getting started. Make sure to plan ahead and stockpile enough firewood for your holiday parties and the winter season ahead. A safety concern for family members and guests alike, sidewalks and driveways tend to get icy and slick, especially as temperatures plummet come nightfall. Leading up to your holiday party (and the entire winter season), be sure to sprinkle generous amounts of salt or sand on your driveway and the walkways leading to your home. This will help melt the ice, create some traction and keep you and your guests safe. One of the most enjoyable tasks of holiday party preparation is decorating the home with festive cornucopias, wreaths, tree trimmings, lights and other annual adornments. What should be a fun afternoon can quickly become a stressful rush when the task is prolonged or unplanned. Be sure to schedule in your decorating hours so that you can get into the spirit and enjoy every moment. The holiday season can easily turn into a stressful time of the year, but it shouldn’t have to. Follow these home maintenance and party preparation tasks—and add your own to the list—for a stress-free, enjoyable season spent with loved ones.